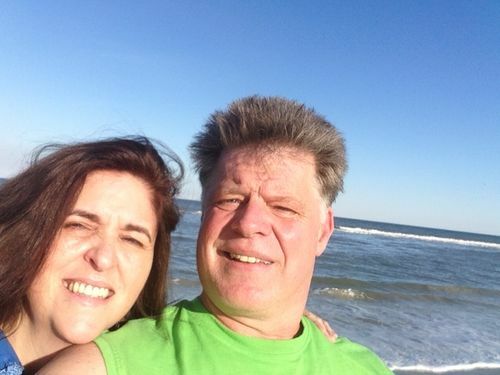 PONTE VEDRA BEACH, Fla. -- A Ponte Vedra man is asking the public for help in finding the driver he said injured his wife in a hit and run incident. Sunday evening, Brian Anderson and his wife went out for a bike ride on Palm Valley Road, near Payasada Oaks Trail in Ponte Vedra Beach. It is the same area where the Florida Highway Patrol's website said an incident happened around 7 p.m. that evening. PONTE VEDRA BEACH, Fla. -- The St. Johns County Sheriff's Office is seeking a 30 to 40 year old male who allegedly committed a lewd act in the presence of an 11-year-old girl. According to a release from SJSO Media Relations Officer Kevin Kelshaw, a PVPV/Rawlings Elementary School told her friend the alleged act occurred after she missed the bus and flagged down a ride to school on Ponte Vedra Lakes Boulevard. The girl was reportedly not harmed during the alleged incident. The man police are looking for is said to be driving a silver SUV, has medium-brown hair and was wearing green pants and a dark colored shirt. Also, Kelshaw said, the man may visit a gym in Ponte Vedra or Jacksonville Beach and there is a possibility he works in the medical field. PONTE VEDRA, Fla. -- The Nocatee community will now have a fire station. It's the the 5th fastest growing community in the county, according to John Burns Real Estate Consulting. Rick van Brederode welcomes it. He and his wife have lived in Nocatee for more than 4 years. He likes Nocatee, but he didn't like his home owners insurance bill. "I got the bill for the next year which is this year, and it tripled," van Brederode said. That's because the closest fire station is more than 5 miles away from his home. It's actually 8.8 miles away in Palm Valley. van Brederode helped get the ball rolling to bring a new fire station to the master plan community, which now has 2,300 homes. ST. JOHNS COUNTY, Fla. -- Matt Dimon is homeless. Right now, he lives and works at the St. Francis House homeless shelter in St. Augustine. He knows what it's like to be cold on the streets. "The elements are the worst ... the cold, even the heat in the summer time. Most people don't have a clue what it's like," Dimon noted. The St. Francis House is the only emergency homeless shelter in St. Johns County. And the past two nights, "We had more people than we had beds, even in our overflow," Executive Director Judy Dembowski explained. She told her staff Tuesday night not to turn away anyone. "I said, 'If people have to sit up, have people sit up. Squeeze them in. It's going to be cold out there and there aren't any other indoor options tonight." PONTE VEDRA BEACH, Fla. -- The St. Johns County Sheriff's Office is searching for a suspect who stole a 46-inch Samsung DLP television early Sunday morning. The suspect entered a business in the 100 block of A1A North by smashing the glass front door. The TV is worth about $600. The SJCSO describe the man as 6-feet-tall and wearing a dark colored hoodie. The suspect was possibly driving a silver Toyota heading north on A1A North. Anyone with any information concerning the identity of this suspect is asked to contact Detective David Garns at the St. Johns County Sheriff's Office at 904-209-3982. You can also remain anonymous and possibly be eligible for a cash reward by calling Crime Stoppers of Northeast Florida at 1-888-277-TIPS (8477). Caruso estimates the shipwreck is about 75 feet long.